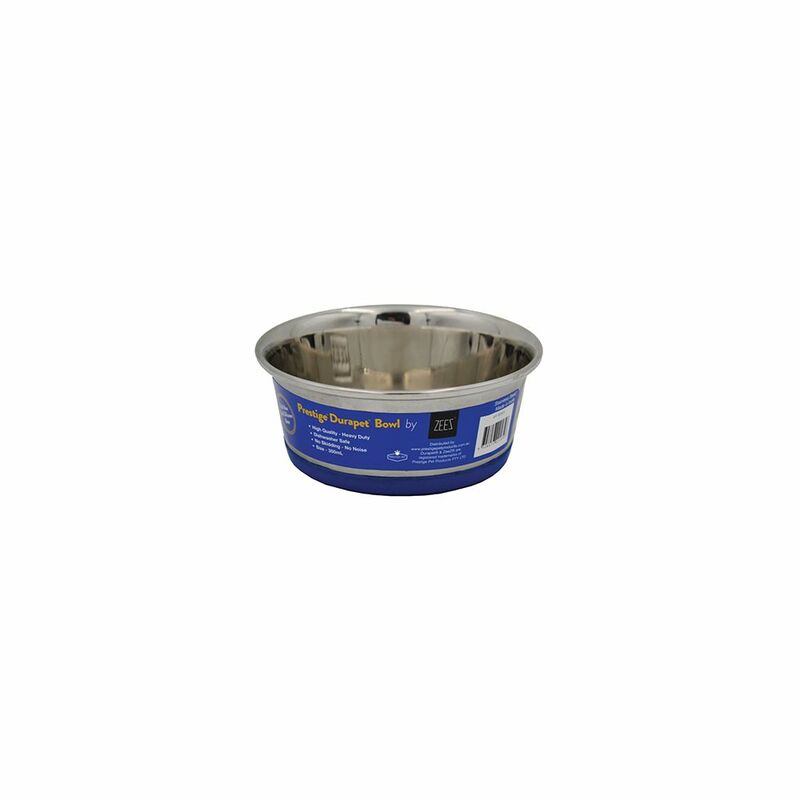 DuraPet PREMIUM SS PET BOWL 350mL - 120_FEEDING & WATER ITEMS, Bowls, Stainless Steel - DuraPet - Product Detail - Prestige Pet Products Pty. Ltd. The quality, heavy gauge stainless steel makes DuraPet Premium SS Pet Bowls extremely durable and hygienic, while the weight lends more stability. The unique fused vinyl ring along the base offers multiple advantages, including skid resistance, ensuring the bowl does not slide while the pet is eating.